High quality three-way supplement containing 85% protein in dry matter. Component protein product is a mixture of whey protein concentrate, casein and wheat proteins, which together provide the body with a full set of exogenous and endogenous amino acids in the optimal composition and proportions. 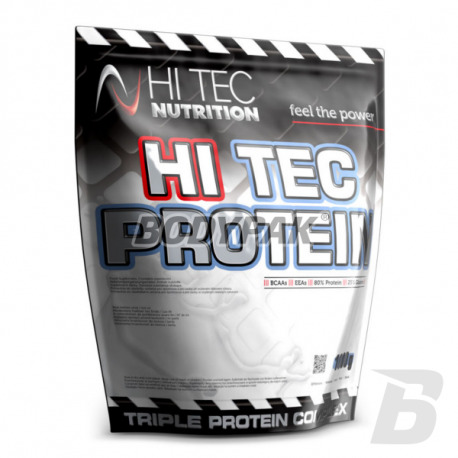 HI TEC PROTEIN is enriching diet athlete in the most valuable protein. This ternary supplement containing 85% protein in dry matter. Component protein product is a mixture of whey protein concentrate, casein and wheat proteins, which together provide the body with a full set of exogenous and endogenous amino acids in the optimal composition and proportions. The individual protein components of the preparation complement each other thereby forming a product with a very high biological value BV = 125 and long absorption time. A mixture of animal protein with plant provides an effective muscle growth with minimal accumulation of body fat and increase cholesterol levels in the blood. Contained in the product whey protein concentrate it is characterized by a very high nutritional value and anabolic activity and immunostimulatory. The high content of glutamine and BCAA HI TEC PROTEIN improves the nitrogen balance in the body and has a strong anti-catabolic effect. 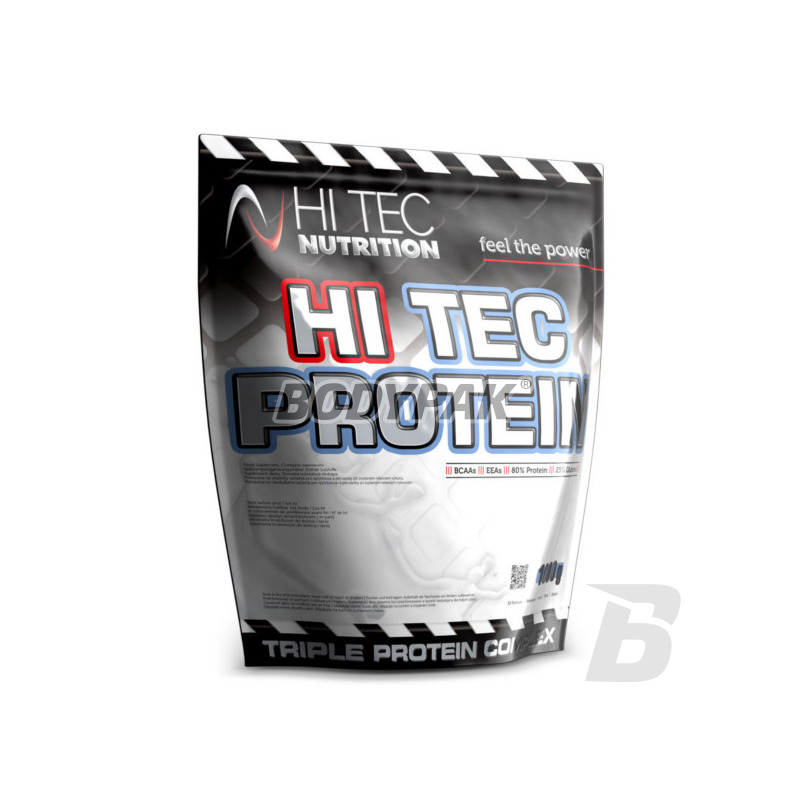 HI TEC PROTEIN is recommended to athletes wishing to supplement the shortage of protein, resulting in increased physical activity (bodybuilding, professional sports), or dieters reduction with reduced calorie content. The product is also an excellent protein supplement in the diet of people in a period of convalescence. Ingredients: The mixture of proteins (whey protein concentrate 43% wheat protein, 43% calcium caseinate 14%) cocoa powder with low fat (3% for chocolate flavor, aroma), acidity regulator: citric acid, ascorbic acid, niacin (nicotinic acid amide), ethyl DL-alpha-tekoferylu, D-calcium pantothenate, mono-azoten thiamine, riboflavin, pyridoxine hydrochloride, D-biotin, folic acid, cyanocobalamin, lecithin, sweetener acesulfame K and sucralose, coloring: cochineal red (for strawberry flavor). Nie mam problemów gastrycznych jak kolega z poprzedniej opinii, jednak jest to ekonomiczna odżywka.. i ma swoje mankamenty. Generalnie na tle konkurencji wypada całkiem korzystnie.